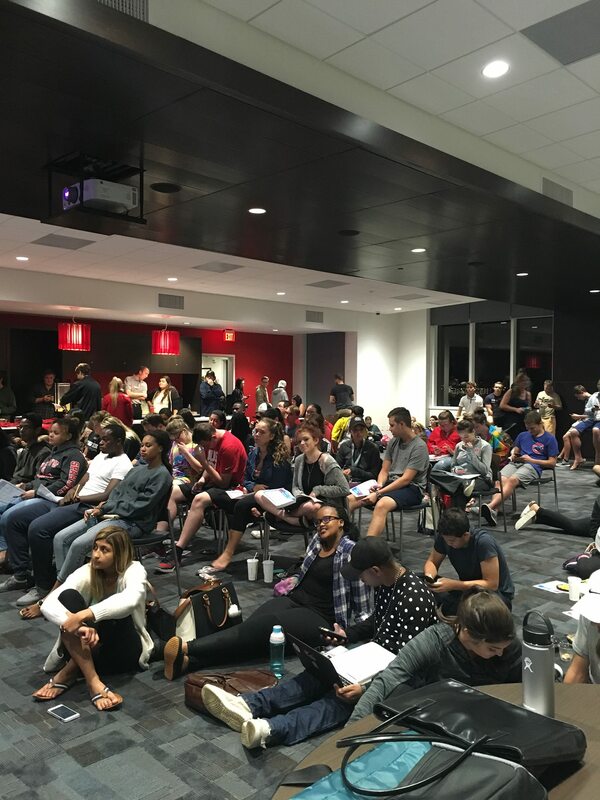 In conjunction with the Departments of Political Science and Speech, the Honors Program at UT sponsored Presidential Debate and Election Night watch parties this Fall. Hundreds of students turned out for the various watch parties. They had a chance to enjoy some drinks and snacks during the debates and the election. They also got to participate in discussions led by professors after the debates and election ended. Regardless of the election outcome, the Honors Program at UT encourages students to be politically informed and engaged citizens.